Florianopolis, Brazil - The Ibiza of South America? “What are we doing tonight?” I chimed at a group of fellow travelers wasting the day away swinging in cocoon-like hammocks occasionally looking up in laughter to tell another story of the preceding night. In the summer months (December until Carnival) Florianopolis, Brazil swells like a full moon’s tide as visitors swarm to this beach island from all over South America and, in reality, from all over the world. During the day the beaches fill with bikini clad men and women seemingly preforming runway shows in front of an audience of attentive people watchers. The crashing sea’s waves are carved by skilled surfers and the open flats are cruised by an abundance of kite surfers whose flags grace the bright blue sky. But it is the evenings that Floripanopolis, or Floripa as the locals like to call it, really comes alive. Parties seem to arise from nowhere, based on the spontaneous groupings of the right people in the right place at the right time. As the night’s moon begins to shine its brightest, young people head down to the shores of the coastline’s hidden beaches and gather in casual chatter. Relaxed and uninhibited people quickly form new friendships and join in on the groupings of people from all over the world speaking a plethora of different languages. The beaches, however, are fairly calm. Large-scale nightclubs draw people from all over the island to dance the night away to the latest dance hits under the iridescent glow of pulsating lights. 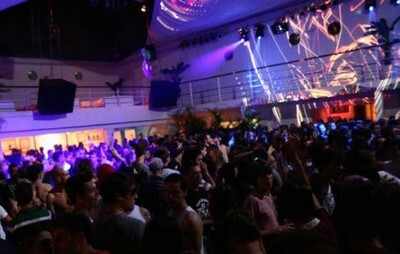 Among the most popular in Floripa is the worldwide chain nightclub of Pacha, which packs with hundreds of guests from midnight until just after dawn. You get the feeling, at Pacha, that if the bar were to never close, people may never leave. The nightlife has an intoxicating aura and tireless clubbers take full advantage of the provided adrenaline. Rio de Janeiro‘s famous Lapa street parties, which happen each and every weekend, are impressive and epic in their own sense but there is something about the scene in Florianopolis that sets it apart. Maybe it’s the presence of the great rainforest and beach settings featured on the island that give it a tropical atmosphere and flavour. Or perhaps it is the fact that the majority of those taking part are vacationing and sensing a freedom from the daily rigours of everyday life. Whatever it is, the atmosphere created on this tropical haven is impressive and addictive. Certain destinations around the world become known for their nightlife. Ibiza and Cancun come to mind before any others. However, those who downplay the nightlife in any part of Brazil would be gravely mistaken. The place they call Floripanopolis may in fact top all others. It is quite possible that Floripa could take Rio over as the summer party capital of South America, if it hasn’t already. Looks like a blast. I love places where spontaneous parties develope and it is easy to meet people. A great friend of mine who DJ’s in Ibiza during the Summer, always goes to Floripa for the whole month of February to party AND DJ. He has the life, huh? 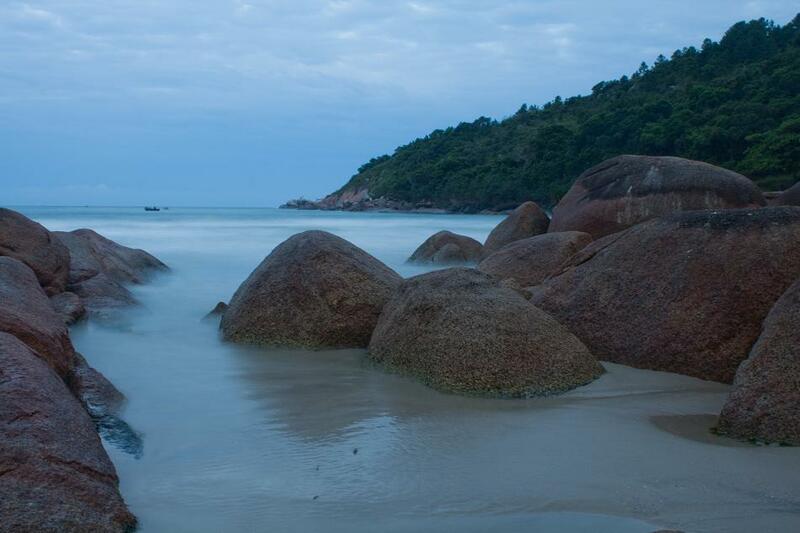 Floripa and Balneário Camboriú (which is located in the state of Santa Catarina too) are the “Ibizas” of SA. The #1 and #16 nightclubs in the Top 100 clubs DJMAG are in there, and was there the only branch of Space Ibiza in America (unfortunately closed until further notice).